Vibrant Performance offers a range or Braided Synthetic Rubber Hose manufactured to withstand the demands of the motorsports industry. These hoses are available in your choice of 300 series Stainless steel Braided Cover for ultimate protection from abrasion and corrosion or a Black Braided Nylon Cover that is lightweight and durable. 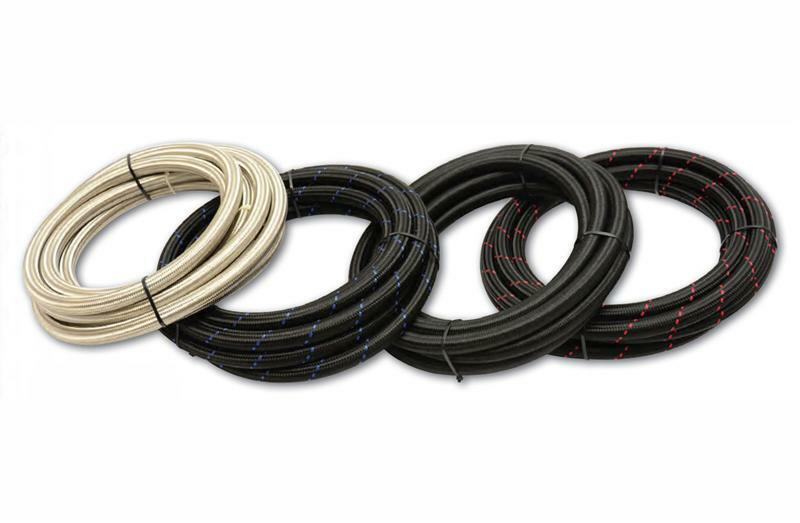 Vibrant Performance Braided Flex Hoses are suitable for use with oil, water, fuel, coolant and vacuum and are capable of handling temperatures ranging from -40 deg F to 300 deg F and elevated operating pressures.